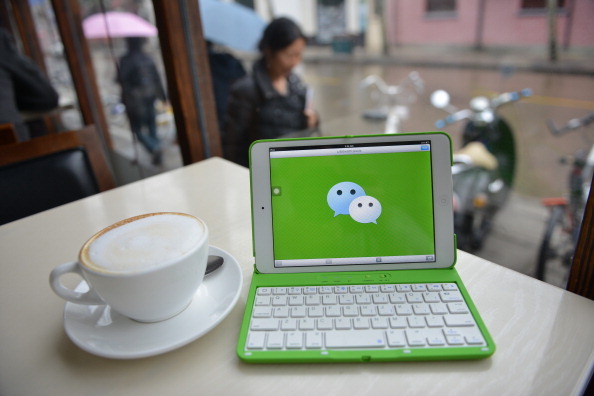 WeChat is a behemoth among the many social media apps developed in China. Chinese citizens use it not only to keep in touch with their friends and family, but also to read the news and make online transactions. For many Chinese who decide to study abroad or immigrate overseas, WeChat remains their main source of news, and there are some media and individuals who use it to cater specifically to Chinese abroad. But in Australia and the United States, many of these WeChat accounts publish content that contains nationalist propaganda and fake news about Western society, with shocking headlines, in an effort to drive traffic and advertising dollars. Australian Red Scarf, an account named after the scarves worn by the Young Pioneers—a Communist Party organization for school children—once ran a story in 2016 that alleged the terrorist group ISIS was planning to attack parts of Sydney and Melbourne. That was, in fact, ISIS propaganda; local police had said there were no specific threats, according to a recent report by Australia Broadcasting Corporation. Meanwhile, an article targeted at Chinese living in the United States, originally published by Chinese news site Guancha and circulated via various WeChat accounts, contained this headline: “U.S. President Donald Trump bellows: ‘Get all the Chinese people out of America!’” The article goes on to claim that the United States was inspecting the visas of all Chinese nationals living in the country and would confiscate any disqualifying ones—none of which was true. Because the platform’s barrier to entry is low, WeChat accounts that publish content can range from individual bloggers to big media companies. According to an April report by the Tow Center for Digital Journalism examining WeChat’s news environment and its effect on the Chinese-American community, there are about 10 million “official accounts” on the platform. Some of them are responsible for the spread of misinformation in the Chinese-American community. One story by an account called “Voice of North American Chinese” claimed that a wildfire in Sonoma County, California, was started by an illegal immigrant. Another claimed that a Lebanese-born driver purposely struck a Chinese jogger in California in order to extend his stay in the United States. However, no English-language media mentioned any alleged motive of the driver. This was part of a pattern of false information peddled by WeChat accounts that heightened fears about illegal immigrants and provoked anti-Muslim sentiment—something commonly seen on the Chinese internet and seemingly exported via the Chinese-American WeChat sphere, according to the Tow Center report. The way WeChat is structured also lends itself to spreading information to a broad audience. While users can follow WeChat accounts similar to how Twitter works, most usually join chat groups with friends and family. Some chat groups include many members—for example, a group for a certain graduate class of a university. News articles shared to such groups can be seen by many. Oftentimes, articles contain provocative language meant to incite nationalist sentiment. Some articles recently posted by popular accounts—both mainland Chinese and those geared toward Chinese-Americans—include a story about a Chinese triad, boasting of their fearful reputation among U.S. law enforcement and their mission of “fighting against white people who bully Chinese”; a story about a Chinese-American who got involved in an altercation with a non-Chinese and fought back, urging “Chinese people [to] stand up for themselves”; and a story advocating China’s sovereignty of disputed territories near India. In Australia, too, nationalism is championed. In June, when Australian airline Qantas announced that it would refer to Taiwan as a Chinese territory, following Beijing’s demands, the Australian Red Scarf account published an article boasting that “China’s sovereignty can’t be challenged,” along with a map of China that included Taiwan.